Pinterest is a valuable tool in any social media strategy, but using it effectively is not quite as straightforward as some other channels available. This is because Pinterest has a very different tone to other social media options, and is much more focused on the content than perhaps any other. This is of course, something of a product of what Pinterest actually is, but it does make a difference, and while Pinterest can prove as effective as other social media channels, it is an unforgiving platform if the approach is wrong. Since its launch, many have been waiting for Pinterest to introduce its own form of advertising opportunity, and that is exactly what the Promoted Pins program is. A Promoted Pin is essentially a paid for ad on Pinterest, and works very much like pay per click on AdWords or other advertising networks. 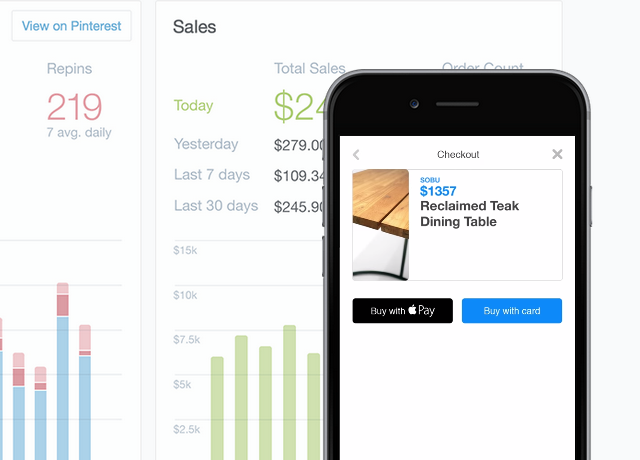 That means that as an advertiser you can set a daily budget for how much you wish to spend on advertising, and the duration of the ad campaign, and you only pay when someone clicks through on the Promoted Pin to the website or offer that is being promoted. It is a flexible system that allows full monitoring of the ad performance as the campaign goes, and provides the ability to adjust the campaign all through its life, depending on how well everything is performing. Of course, as with all social media platforms, there are some rules to take into account when designing an ad campaign, although in this case they are more restrictive than a lot of other platforms. This is done to retain the tone and community that Pinterest has carefully cultivated, and while it can seem problematic, it is worth remembering that Pinterest is successful, and valuable to advertisers, precisely because of the community it has built. The approach needed may be different because of this, but it can still be effective. Additionally, ads must be entirely accurate and lead to a relevant landing page or website with no signup requests required to see the offer itself. As you can see, this requires a different approach, but this can be looked at as a good thing, sometimes needing a different mindset to approach a problem can really fire up the imagination and enthusiasm. There are hundreds of ways of promoting any offer available to us today, so a question you may be thinking is, why this one? A good question too, with admitted restrictions and needing a rethink on approach, with all the ad networks and other avenues available, is it worth taking on a Pinterest Promoted Pins campaign? 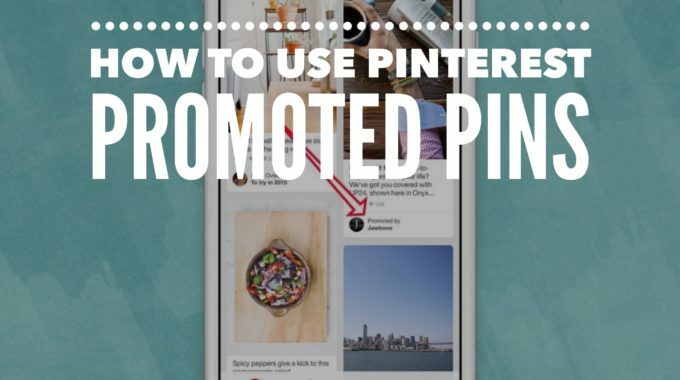 Not only do Promoted Pins help draw attention to a unique item, special offer, and article or similar that you have for your own Pinterest followers, they also widen your audience. This is because Promoted Pins get exposure for your business to Pinterest users who do not follow you as well. 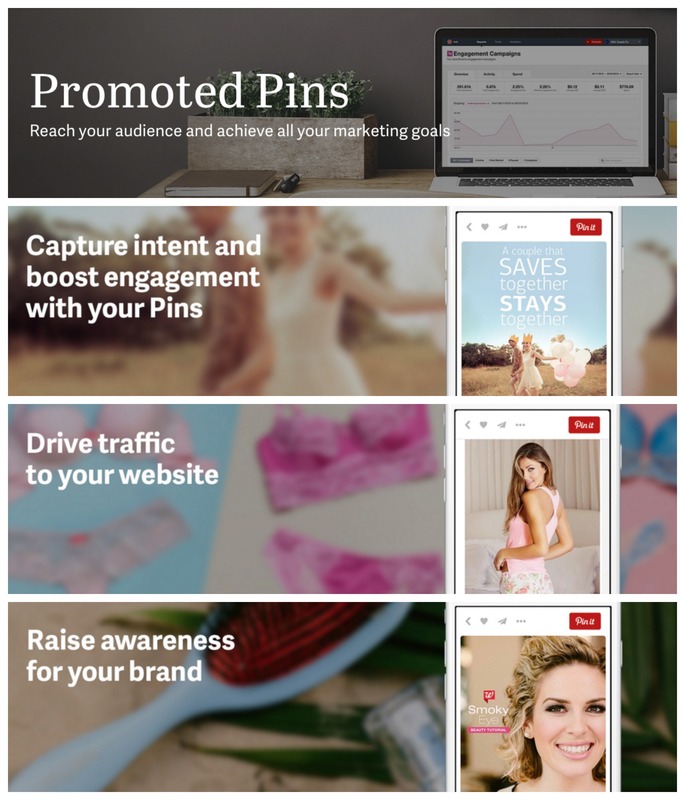 Broadening your Pinterest audience and promoting the offer at once is why Promoted Pins provide exceptional added value to you ad campaign. It also makes them great for time sensitive material, such as seasonal content which can be a fantastic foundation for a promotional campaign. The first step in setting up a Promoted Pin campaign is to decide on the pin itself, this can be something you create especially, it can be a recent pin, an old pin, even one from another site, pick something relevant and unique that fulfills all the restrictions as outlined earlier. Turning the chosen pin into a Promoted Pin is actually very simple after that, hovering over it will bring up the promote menu, selecting that takes you to a new screen to set up the campaign itself. Just like other ad channels, the first thing to add are the keywords that you wish to be associated with the Promoted Pin, and that will help your ad to appear in search results. Choosing these is perhaps the most important aspect of the campaign, and can go a long way to determine the amount of success you see from the overall campaign itself. Google’s own keyword tools that are familiar to anyone who also uses AdWords are just as useful here, as are the many commercial tools available on the market for keyword research. However, it is important to remember that people use Pinterest search differently from how they would search on Google. With this in mind, once you narrow down your keywords on your favorite keyword tool, use those results to search on Pinterest itself and see what results appear. You will often find that you see slightly different phrases being used by the Pinterest community and you can modify your keywords to fit better with the way Pinterest is actually used. Take your time with this step, keywords really are the foundation for any campaign, so making sure these right is the most important step in the process. 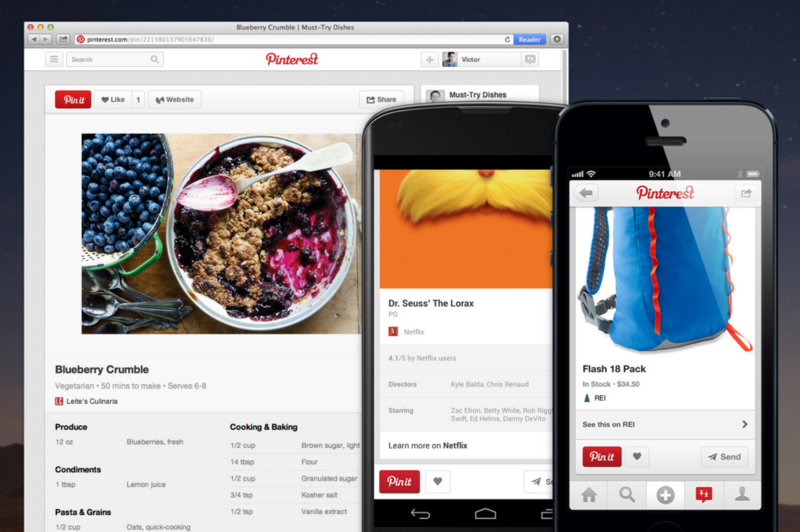 After entering your keywords, Pinterest will then provide a series of options to refine the audience you promote to. 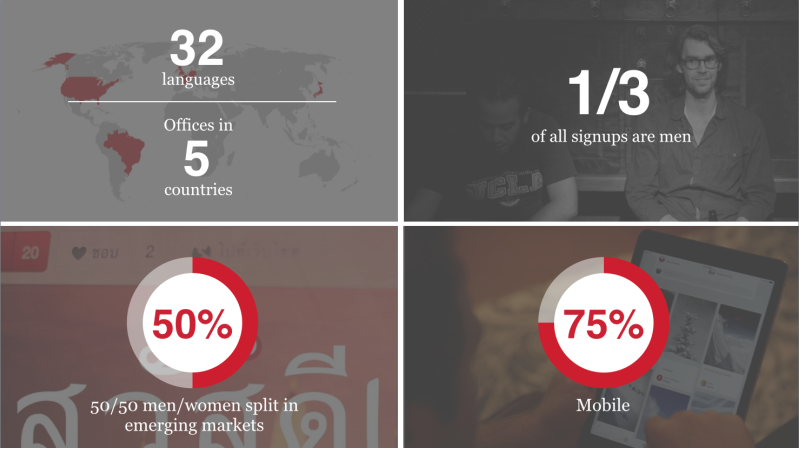 Some campaigns you may want to restrict to just men or women, or for specific device users (a mobile offer for iOS users for instance) or location, whether that is country or even more restrictive to region, this can be really useful for some types of offer. Consideration of the audience you want is really important, targeted advertising ensures that only those most likely to take up the offer will see it, which in a pay per click environment is essential to maintaining a good return on the advertising investment. The next step of setting up the campaign is to choose the maximum cost per click for the Promoted Pin. This works in a bidding system similar to other networks, and it is important to note this is the maximum you are prepared to pay. In many cases you will pay less than that, niches with little competition especially, where you simply pay the highest rate bid up to the maximum. For instance, if only one other person is bidding for a keyword and they bid $0.14 per click, even up you put a maximum of $1 per click, you would actually pay $0.15 per click for the ad. Finally, you can add a new URL link if you wish to change the original pin, set a daily budget along with a start and end date for the campaign, and of course, a campaign name to track it all. With some preparation on keywords and so on, you can be set up in a few minutes for a new Pinterest Campaign, it really is one of the easier systems to use. The best way to use the Promoted Pin system can start with the pin you choose to promote, if you have a pin that has seen a lot of interest already, as a Promoted Pin it is more likely grow and expand beyond your existing audience than something completely new or without the same level of interest. Testing is just as important with pins as it is in any other ad campaign, try different images or keywords to see the effect either have. The image itself can have a dramatic effect on campaigns on Pinterest and finding the right one can be difficult, don’t be afraid to experiment a bit to find the ideal solution. In tandem with testing, tracking the results is also essential, luckily Pinterest provide a complete set of analytic tools to help you with this, everything from the number of impressions, repins, the number of clicks and total spent, a comprehensive data set. With these tools it is easy to see how any campaign is performing, and with the ease of adjustment for testing, makes the Pinterest platform user friendly for experimentation when seeking that perfect campaign. It’s a relatively new platform, but Promoted Pins on Pinterest offers a slightly different approach and access to a different audience. For those already using Pinterest to promote their business or offers without ads, it is a great addition and sure to enhance existing Pinterest activities. For those who up to now have not incorporated Pinterest into their social media promotion, it offers a more structured route of reaching the Pinterest community with your offer than has been available before. At present while still a relatively new service, keyword competition is nowhere near the levels of more established ad networks, and as such it offers exceptional value for money as a promotional vehicle. The targeting tools are perhaps not as granular as we would like, but overall Pinterest provides a valuable avenue for promotion that is simple to set up and run.